This article is a judgement-free zone. You want to know how to create a domain anonymously and that’s fine. You might want to post a political manifesto or simply keep your identity unknown for other purposes. The reason why is not important. Not all anonymous domains are nefarious by nature. No matter the cause of your need for privacy, there are a few ways for inquiring minds to discover your identity through your domain. A simple search of your domain registry through a WHOIS query is the most popular. Beyond that, your hosting and email accounts, hosting billing methods, and online activities can all serve as points of entry for outsiders to learn your true identity.A quick overview of how your anonymity can be compromised through domain registration, payment, and online behaviors will give you an idea of all the bases you need to cover to keep yourself hidden. The best way to avoid having your identity discovered through your Web hosting account is to simply not have one. One work-around is to set up a blog page on a platform like WordPress.com instead of a full-fledged hosting account. But you will be subject to their code of conduct, which may conflict with the intent of your anonymity. Instead, you can create an anonymous domain registration with a hosting provider such as GoDaddy​, use an anonymous hosting service, register with a host outside of your home country, or purchase your domain via proxy. None of these are fool-proof, but they do act as significant barriers. Do not overlook the paper left behind when you create your anonymous domain hosting account, either. The way you pay for your hosting service can lead villainous sleuths directly to your virtual doorstep. Your absolute best bet is to pay by cash whenever possible. If your hosting provider does not accept cash, pre-paid credit cards are a solid option. Another ultra-anonymous payment method is bitcoin. Still, using bitcoin may be even more inconvenient than cash or pre-paid credit cards. Finally, going through the trouble of creating an anonymous hosting account and making discreet payments could all be for naught if your identity can be found out via innocent online behaviors. Anything that can link you to your anonymous domain must be concealed or eliminated. Any emails associated with the account should absolutely be anonymous. Don’t have any social network links to your incognito site that are connected to any personal social pages. In fact, it’s a good idea to avoid social networking for the anonymous site, altogether. When creating passwords, make sure they are hyper-secure with at least 25 characters. While you’re at it, use unique usernames, too. Don’t publicly reveal your name, location, employer, or any personal directory information, including geographic tags on uploaded images and photos. None of these tactics are going to completely obscure your identity, and even using all of them won’t guarantee you’ll remain anonymous. The only surefire way is not creating an anonymous domain to begin with. 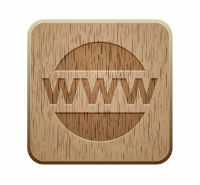 Interested in learning more about anonymous domains and other Web hosting topics? Check out our informative Web hosting guide.